There's something comforting about walking into Focaccia after the sun sets. The lights are dim but there's enough of it to watch the chefs working their craft. Stand in front of the large brick oven and you can feel its warmth on your face. The pizza chef smiles at you while he rolls out dough with an enormous pin, loads it with toppings and dispatches it into its cavernous interior. The chef-de-cuisine is almost always at his station and even though he's busy, there's a cheery "hello, how are you" called out...even if he and you are seeing each other for the first time. 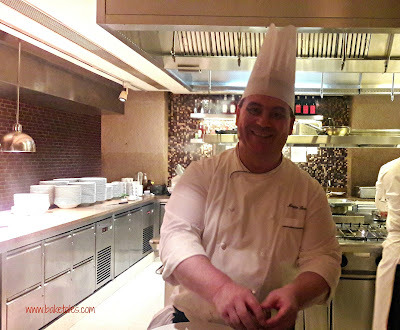 Chef Mauro Ferrari is Hyatt Regency's newest expat chef. Born in Saronno, famous for almond-laden amaretti biscuits and amaretto liqueur, this Milan-based chef has worked at the Michelin-starred Pomeroeu Ristorante Soranno. He is also a sommelier and an entrepreneur, having opened 2 restaurants - at Tuscany and at Milan. He's come to Chennai from his last posting at Grand Hyatt Muscat and when he came over to talk to our group of bloggers at the end of the meal, he confessed that he found Chennai very humid and preferred the weather in Oman. 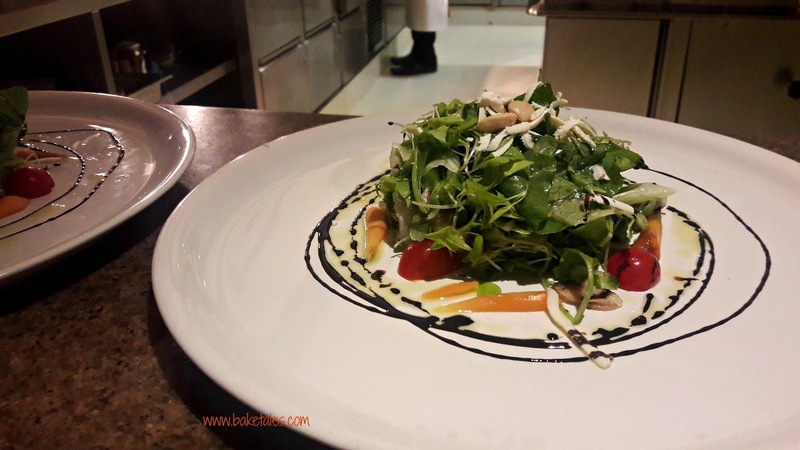 Chef Ferrari has enhanced Focaccia's existing menu with some of his signature dishes. We were told that he cooks authentic Italian food just the way it is done at Milan or any other city in Italy. As a chef, he does not believe in overloading a dish with ingredients, just 3 to 4 at the most. 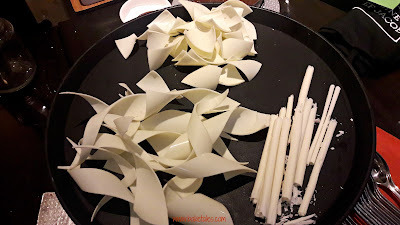 Invited to review the degustation menu, some of our friends blogger friends were vegetarians so we got to try their courses as well! The first appetiser was onion, burrata cheese and yellow capsicum coulis. 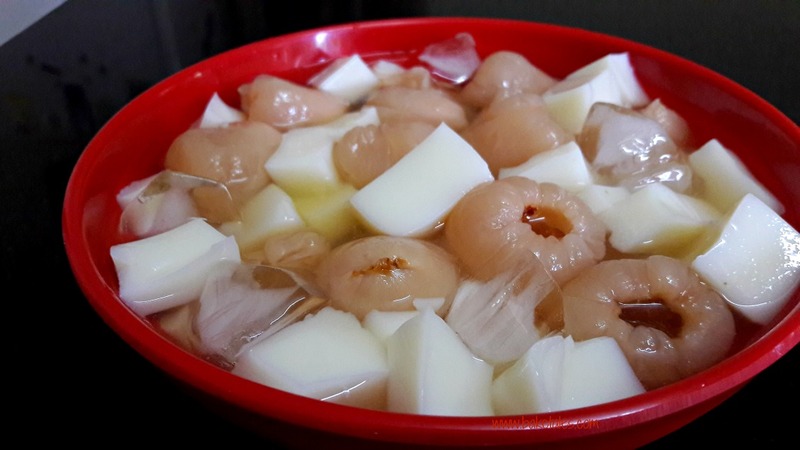 The onion had been baked and the layers separated into little cups that held the soft creamy Italian cheese. It rested in a pool of smooth capsicum coulis surrounded by blanched tomato slices, micro herbs and dots of pesto. The onion tasted mild and the cheese absolutely stole the show. Pan-fried shrimps, calamari, potato, green beans and tomato confit was a deliciously light dish. 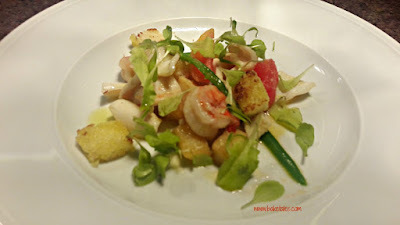 The prawns were juicy, the calamari tender and the riot of textures ranging from soft cubes of potato to crisp croutons to firm tomatoes to crunchy beans, was interesting, each bite a revelation of the chef's understanding of how the ingredients worked together. 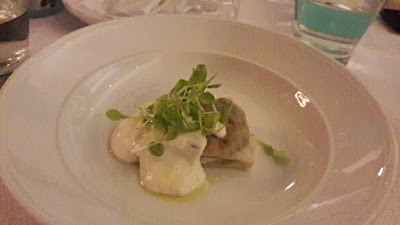 We had handmade pasta - potato gnocchi with vegetable ragoût and basil zucchini cream and it was definitely an unusual dish. 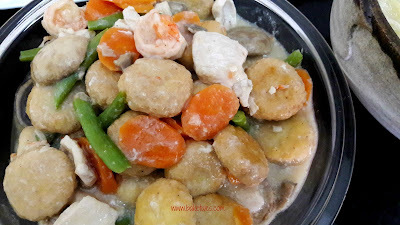 The gnocchi had a melt-in-the-mouth quality but the flavours in this dish though mild, were underwhelming. Lobster risotto certainly had a bit of a bite from the red chilli. 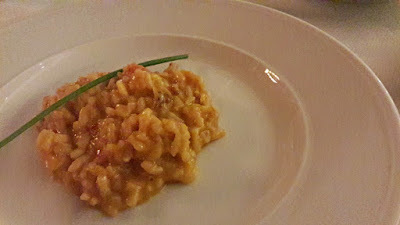 Chunks of lobster were stirred though beautifully cooked risotto but for me, the flavour of the lobster stock was overpowering. Even so, it was delicious, the rice beautifully cooked. Talking to the chef later, we learnt that lobsters available in the local markets taste different from those caught in the colder Northern seas. The first of the main courses was pan-seared sea bass. 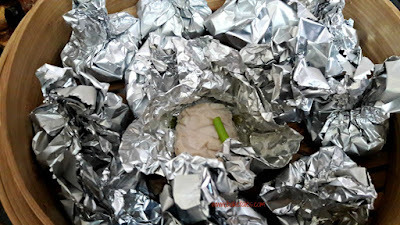 The fish was so fresh and a fork was all that was needed to flake it into smaller pieces. What a lovely contrast to the crisp skin! 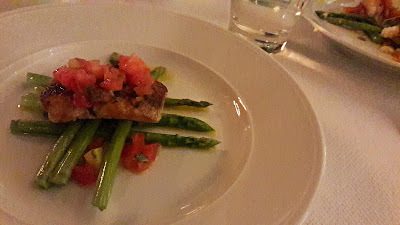 Placed on a bed of asparagus spears, it was topped with diced tomatoes. 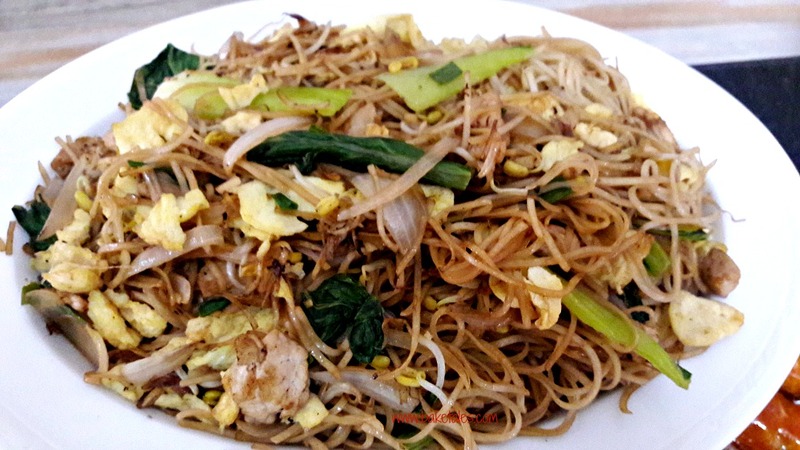 A deceptively simple dish but one that will be loved by seafood aficionados. 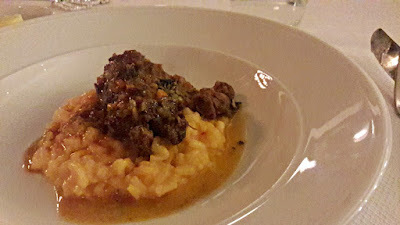 Beef cheeks with Milanese risotto - saffron-tinged risotto with beautifully cooked beef cheeks resting on it. Long cooking ensured that the meat was very tender and the flavours had so much depth and balance though the risotto was slightly underdone. We were curious about what the vegetarians were being served so we tried some of their ravioli. The pasta was a tad underdone but crespella di ricotta, spinaci, foglia di barbabietola e costa con fonduta di parmiggiano (crepe with ricotta, and a mix of leaves - baby spinach, beetroot and pok choi with Parmesan fondue) was so yummy... bellisima!! 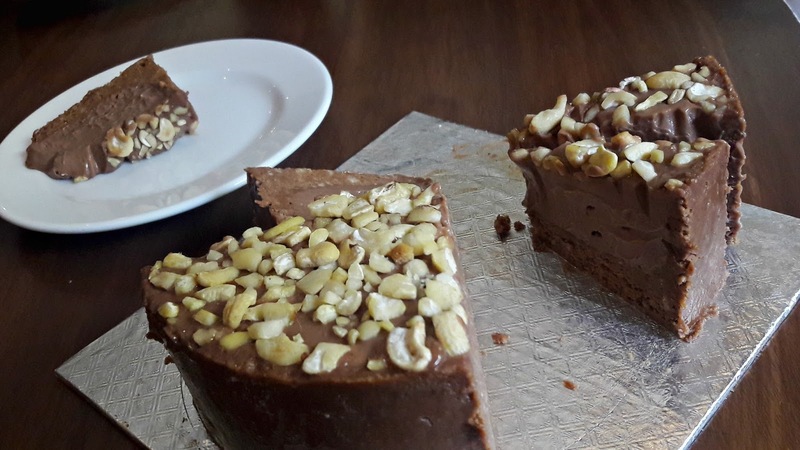 With us was L. Nitin Chordia, founder of Cocoatrait and India's only certified chocolate taster so we knew chocolate in some form would be part of dessert... and we were not disappointed. It was a Hot Chocolate Cup - a baked pudding made with a blend of 70% dark chocolate from Peru and Ghana, along with other ingredients. The surprise element was apricot jam at the base of the pudding. It wasn't too sweet but it offset the bitter notes in the chocolate perfectly and had us almost licking our cups to get the last bits out. 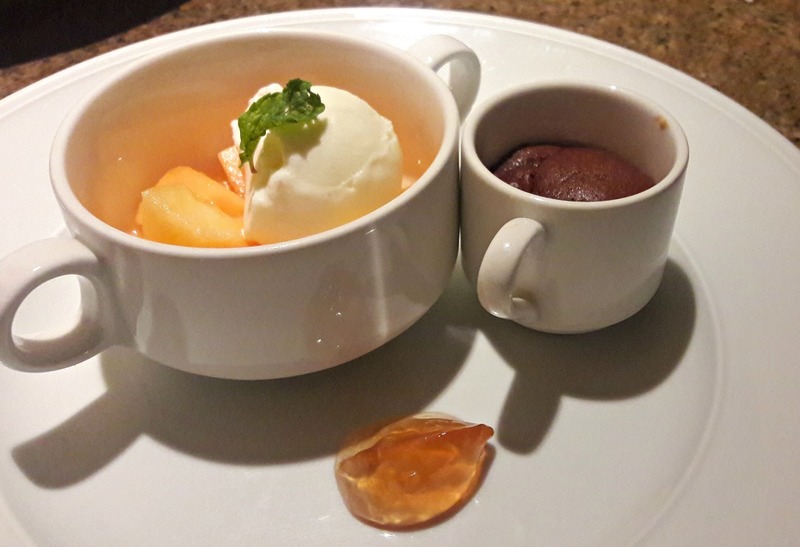 A second dessert was muskmelon and home made vanilla ice cream. The fruit had been so beautifully perfumed by the fragrance of reduced organic rosewater from Rajasthan. There was also a scoop of apple-cinnamon jelly on the plate and whatever combination you spooned into your mouth was nothing short of bliss. Both jams are from Bhuira. 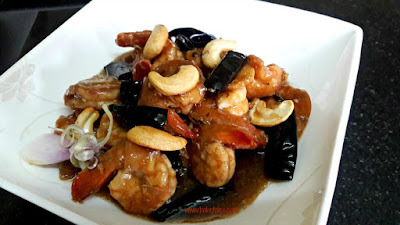 Every dish had simple ingredients allowing the main ingredient in each to stand out. Plating of each of the dishes was simple yet sophisticated, the colours pleasantly pastel. Less certainly is more! 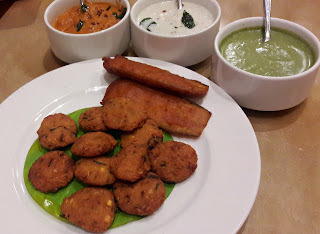 365, Anna Salai, Teynampet, Chennai. Do call +91 44 61001234 for more information or reservations. 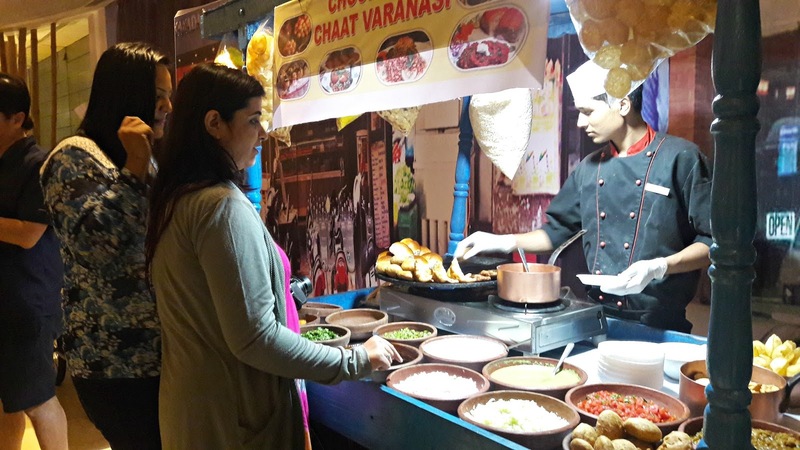 Street food is immensely popular the world over and one of the cheapest ways of having a quick and delicious meal on the go. 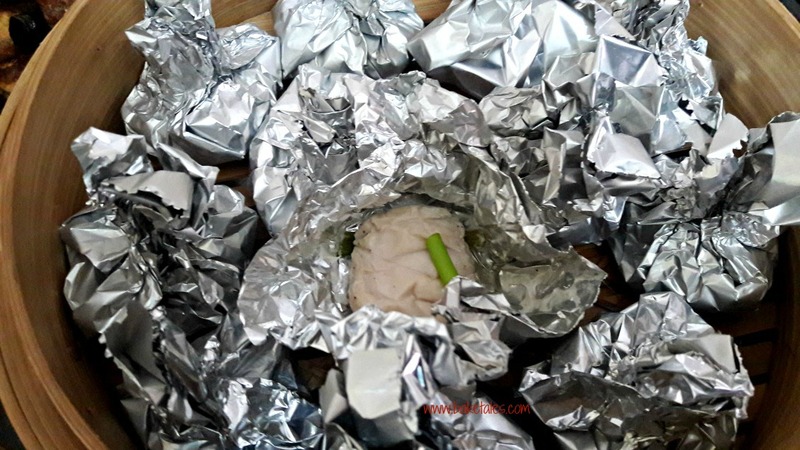 It's no different at Chennai, but there are many who are wary of eating at these stalls, hygiene, or rather its lack, is often the reason. 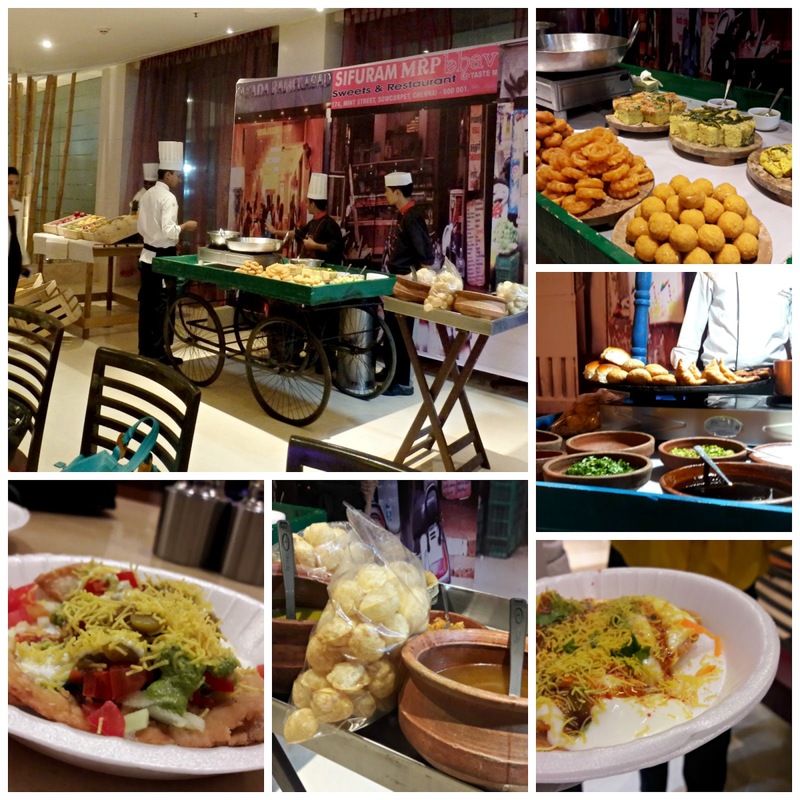 Courtyard by Marriott Chennai has brought the street food of Chennai into Paprika Cafe. 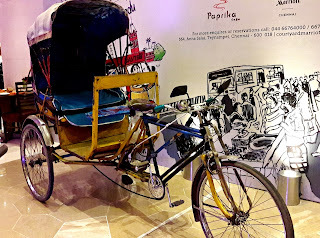 A group of us were invited for a tasting session and believe me when I tell you that the only things we missed were the crowds jostling for space in front of the stalls, dust from passing vehicles, the honking of a thousand vehicles and perhaps even the salt-laden sea breeze (and maybe some sand) from the Marina Beach... not!! "Taste of Chennai" has been divided into 4 popular hubs - Sowcarpet with its chaat stalls that included the ubiquitous murukku sandwich, Triplicane and the Marina beach for biryani and bajji (and fried fish! 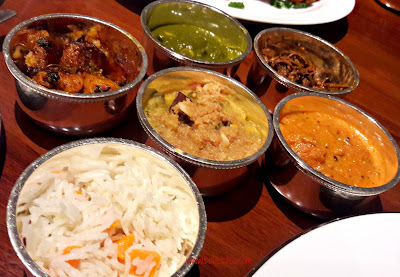 ), Mylapore for rose milk and variety rice and T'Nagar where you can have your fill of appams, kal dosa, idlis with everything to accompany from chutneys to sambar to vadacurry to a delicious mutton roast. 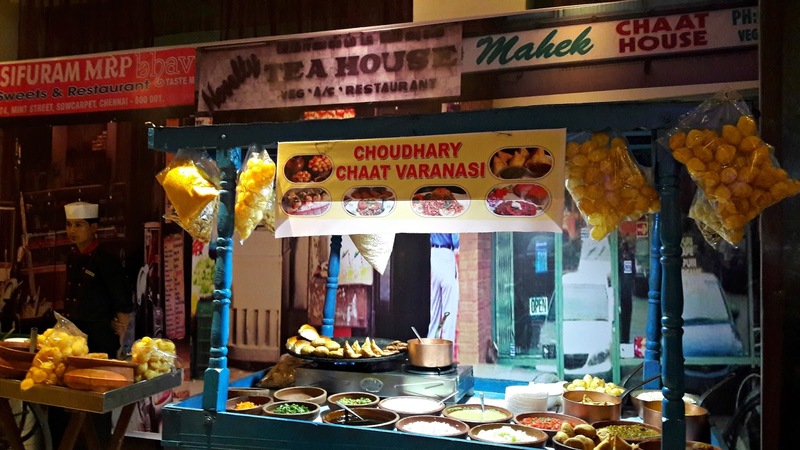 The cafe had been set up to resemble street-side stalls and names of shops reflecting famous localities. 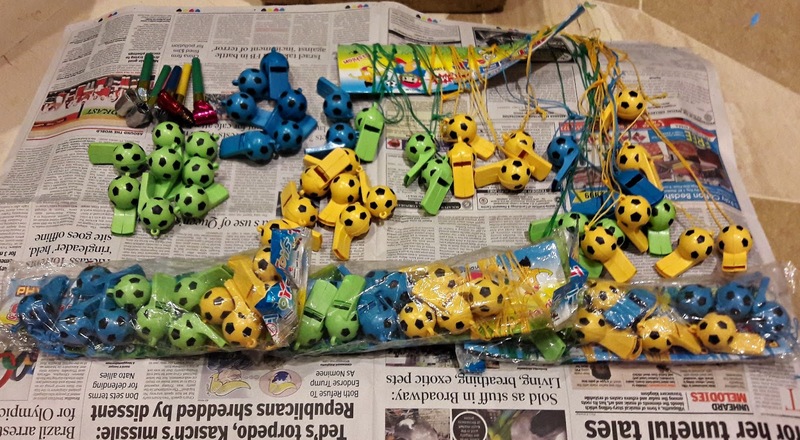 There was even a "pavement" stall selling whistles. Sowcarpet had a guy making fresh jilebis, pani puri, pav bhaji, chole batura and muruku sandwich. There were also dhokla and khandvi and large orange-coloured boondi laddus. If you found the chaats spicy, ask for a glass of thick, sweet lassi to cool your mouth with. Freshly fried masala vadas, banana bajjis, crisp fried sankara fish, nethili and squid strips represented the iconic Marina beach. 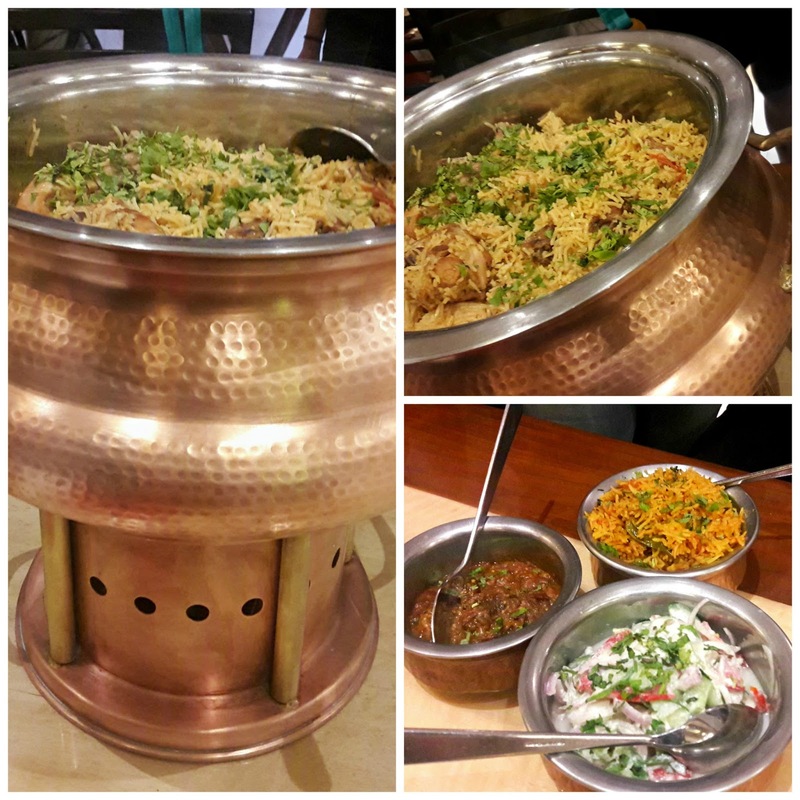 From Triplicane, the fragrant chicken biryani served with raita and a tangy brinjal curry was a winner. 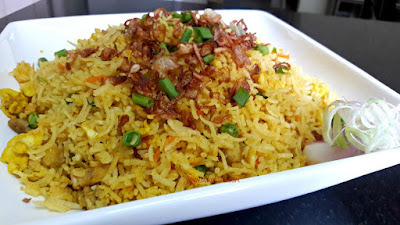 For the vegetarians, there was the veg version of biryani. Mylapore was represented by lime and tamarind rice...and pastel pink rose milk with aniseeds that was so delicious and cooling. 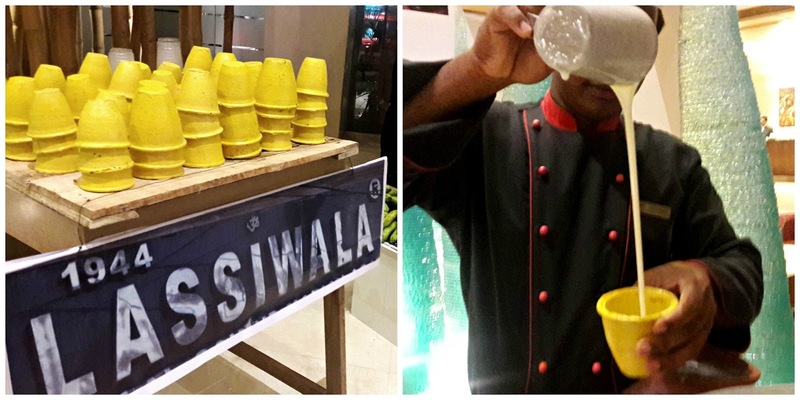 Don't forget to order a steaming cup of filter kaapi to end your meal. 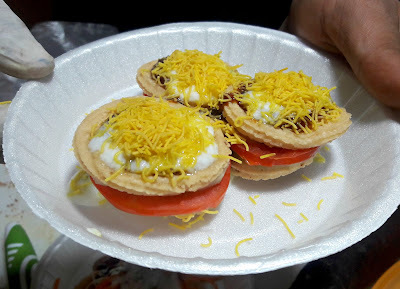 T'Nagar was amply represented by dosas and a melt-in-the-mouth mutton fry that also had chunks of garlic and shallots. 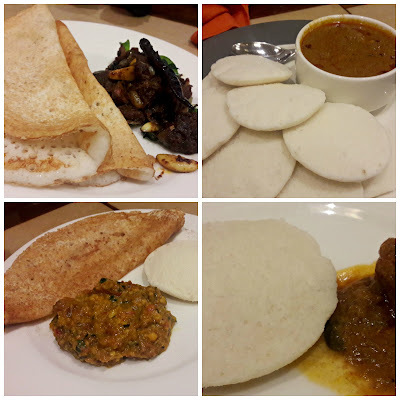 Kal dosa and vadacurry was a lovely combination, a first for me. There were also soft idlis accompanied by a delicious chicken kolambu. The selection of desserts included gulab jamun cheesecake, malai mousse, coconut jaggery mousse, kheer, carrot pudding as well as regular ones like a decadently pink strawberry gateau and baked mango yoghurt. 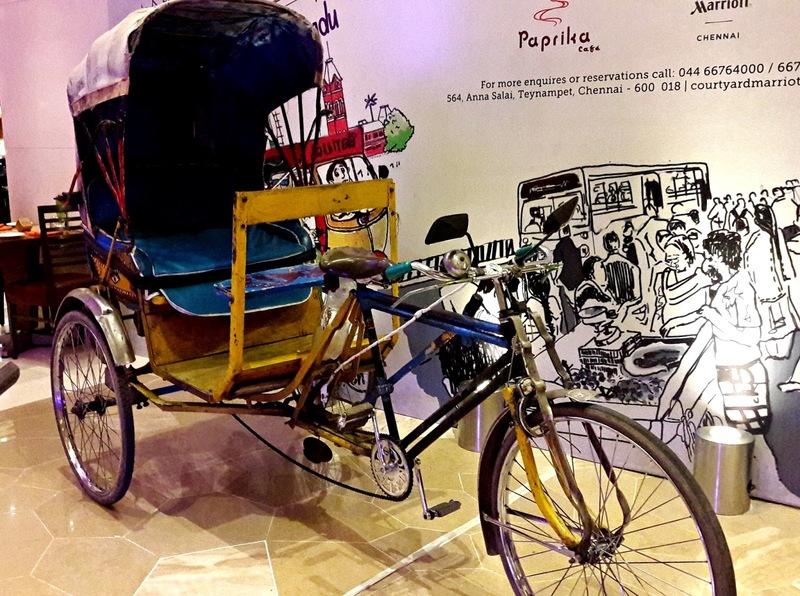 There's even a rickshaw parked in a corner; jump in for a great photo-op! 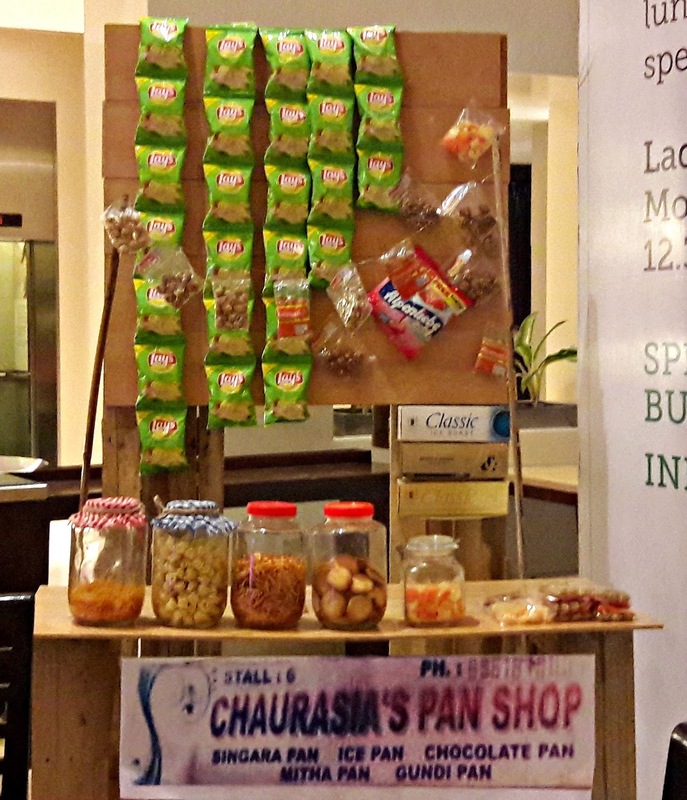 On your way out, do stop by the paan shop for a bite of the popular digestive. July 28 - 29 - T'Nagar - frankies, bread omelette, dosa, paratha, jigarthanda. 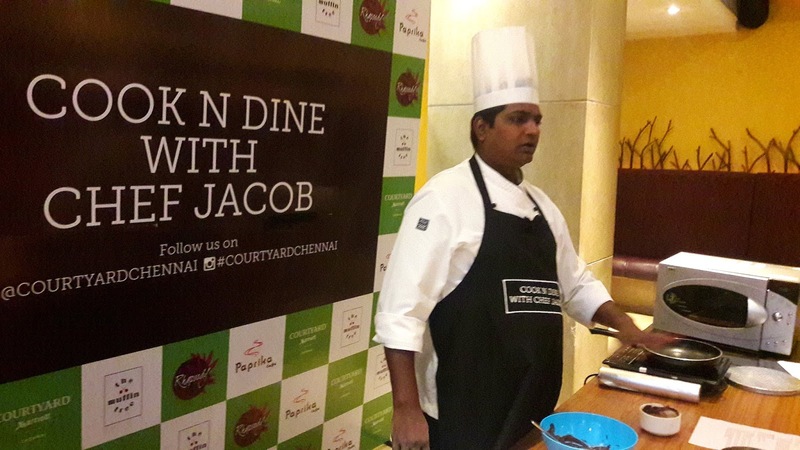 Paprika Cafe is at Courtyard by Marriott, Chennai. The festival timings are from 7 -11 pm. Cost per head is 1475/++. Do call 044 6676 4000/ 66764488 for reservations. If you start cooking at the age of 10, what sort of cook would you be 40 years later? Is that the true definition of a masterchef? 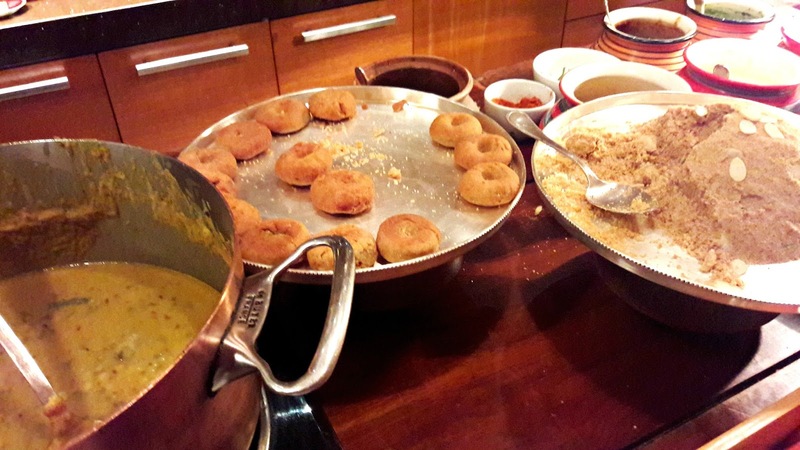 Amrit Maharaj looks to be just that if the food he cooks is any indication. Modest in manner, he certainly has culinary magic at the tips of every one of his fingers. No wonder he is the one consulted for all Marwari feasts in the city. Geography labels Rajasthan a desert state. Scarcity of water and fresh vegetables have made the Marwari cook develop a cuisine that uses whatever Mother Nature dishes out by way of ingredients - lots of milk that is converted into buttermilk and ghee, millets, pulses and lentils ground into flour and made into delicious ghatte and the berries of the ker plant. 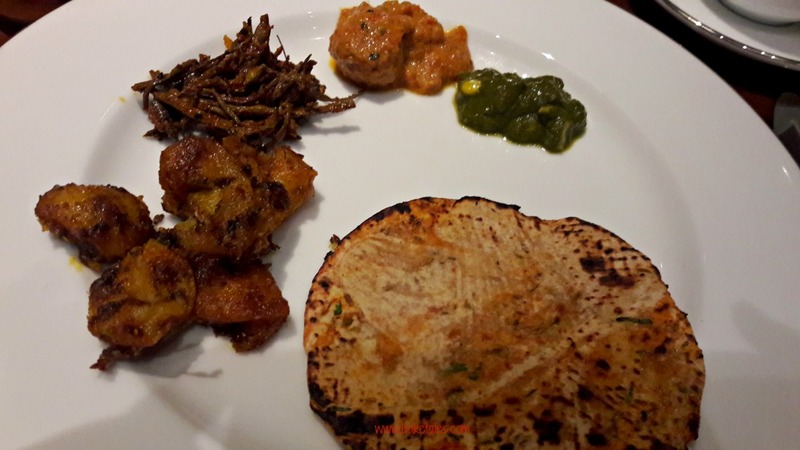 Park Hyatt Chennai's The Dining Room is celebrating a Marwari Food Festival. 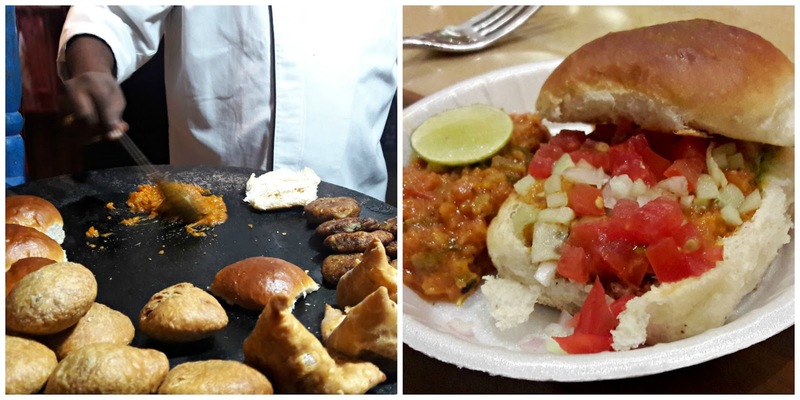 Invited to review the festival that is on for 2 days more, we were treated to some remarkable Marwari specials. 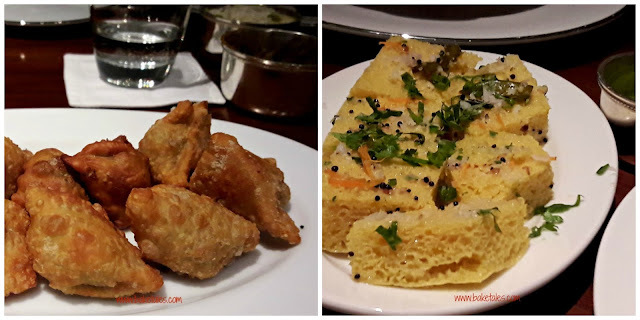 Our starters comprised paneer samosas wrapped in a crisp ajwain-flavoured pastry and soft moist dhoklas. Five katories with a medley of sides and one with a pulao was served to each of us. 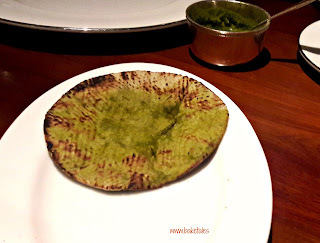 Along with them were selection of Indian breads, some tinted green with spinach, some plain but brushed with ghee and a millet flatbread, bajra ki roti. 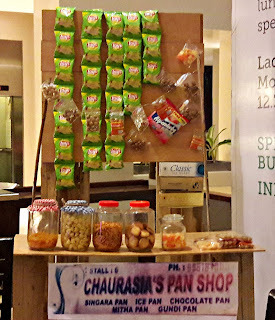 The star of the evening was dal-batti-churma. 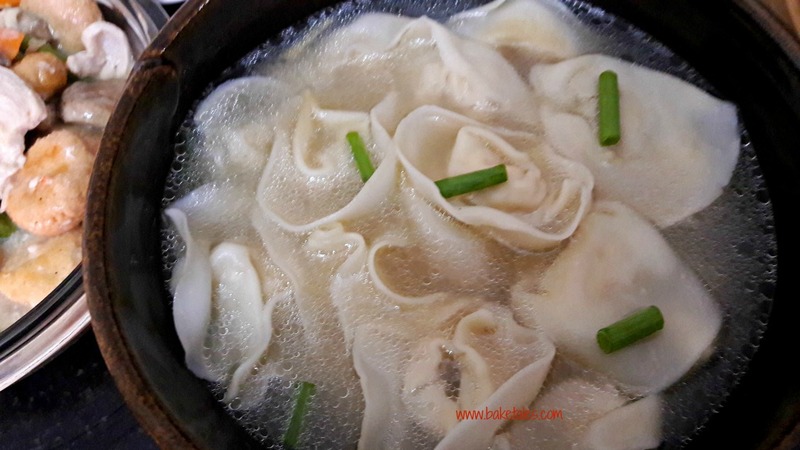 Battis are dough dumplings that are flattened a little and baked. Ghee is poured over it along with a dal (a stew of mixed lentils) and it is topped with a mix of powdered batti and sugar. There was aloo jeera, a dry dish of potatoes and cumin cooked till crusty on the outside, a soft kofta curry, gatte ki subzi - dumplings made of chickpea flour that were steamed and then added into a tangy yoghurt-based gravy. My favourite was the ker sangri. I had no idea what it was and googling kher threw up the name Anupam Kher! By then we got the spelling corrected to ker sangri, a dish of berries and beans. The beans looked like burnt brown sticks. 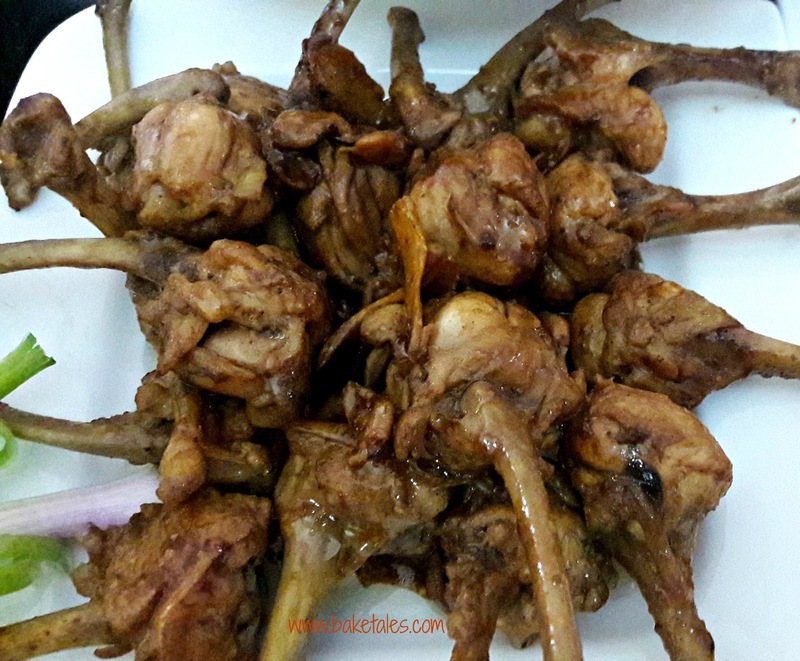 Cooked in mustard oil, it tasted fabulous, the berries adding a beautiful tang to the mix. 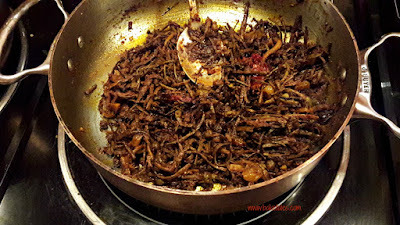 Far from being burnt, the beans in fact were very succulent. Another was the makai palak - a corn and spinach gravy. Marwari food is pure vegetarian. 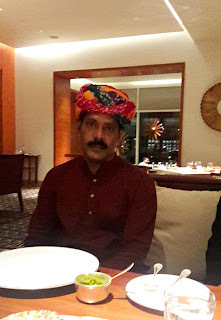 For me, unused to some of India's regional cuisines, all the dishes were a good introduction to Rajasthani food. The use of oil and spices is restrained and the thali is a good way of tasting the different dishes on the menu. 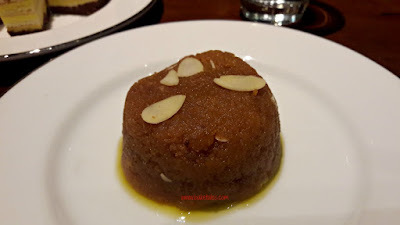 Dessert was moong dal halwa, a classic Rajasthani sweet made with split mung beans, sugar and ghee. 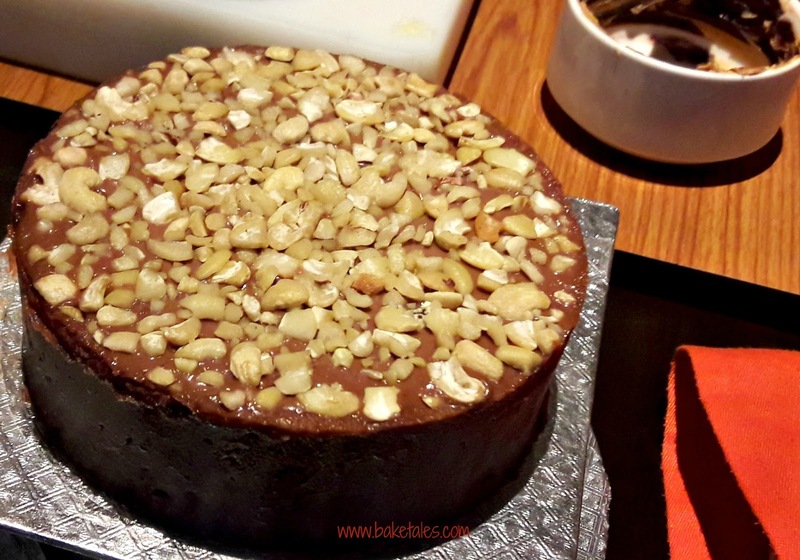 Studded with crunchy almond flakes, it tasted just heavenly. 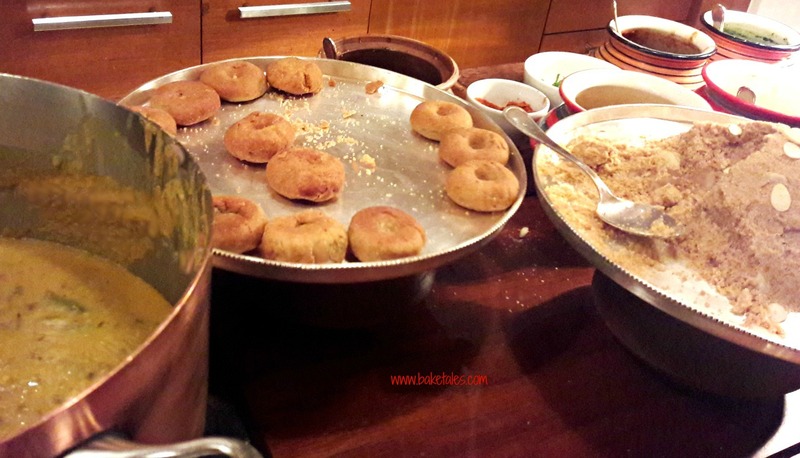 The Marwari Food Festival is on till July 24 at The Dining Room, Park Hyatt from 7 pm onwards. 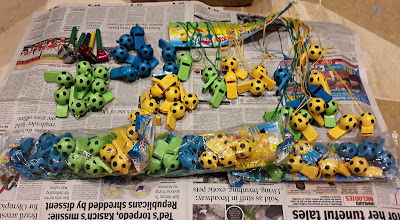 Cost per head is 1350/++. 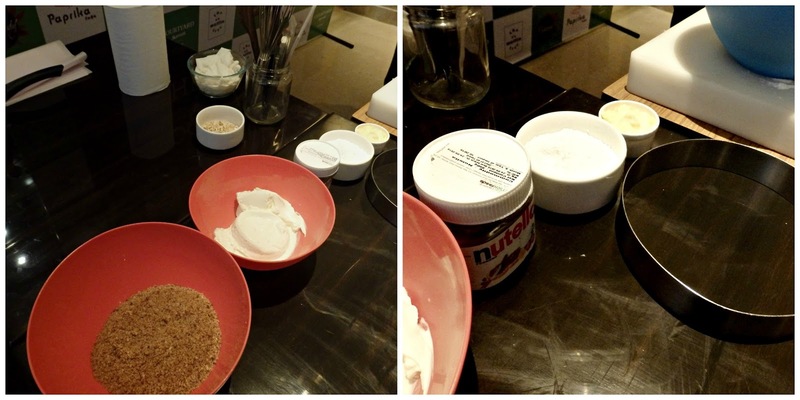 Want to make an awesome dessert? No oven? No problem! That's what we learnt at Marriott Chennai, at Chef Jacob's Cook and Dine series for the month of July. Once again, Rhapsody was the venue and this time, the promise of making a dessert sans egg, sans oven was pretty attractive. 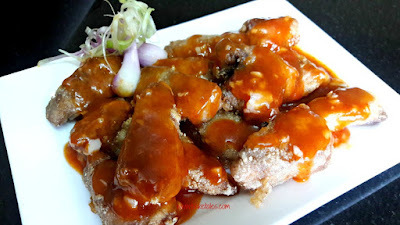 The class had already started by the time I reached but one thing about Chef Justin's style of demonstration is that you can ask him for a recap and clarifications anytime and his recipes are easy to follow. This time, Chef had just 2 recipes in his menu but both were killers. 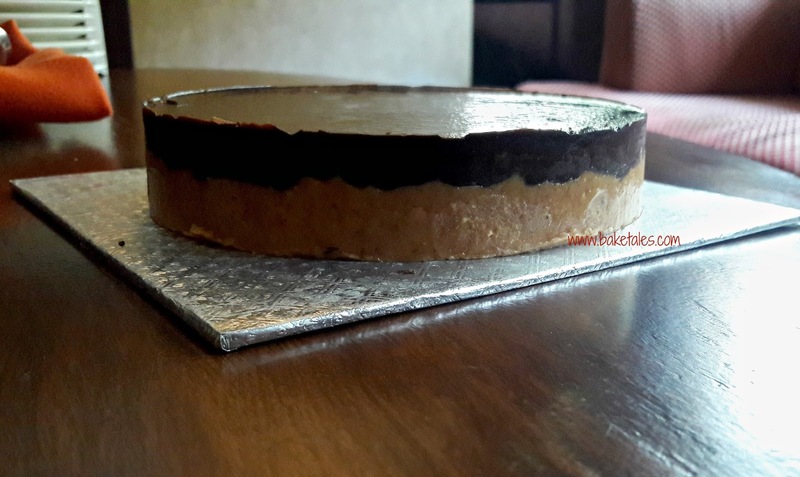 The first, Chocolate Peanut bars has a sweet biscuit layer and over it, a peanut butter-chocolate filling. If you like Reese's Pieces, then you'll freak out on this. Simply sublime! It was made in a round cake ring and sliced into wedges. 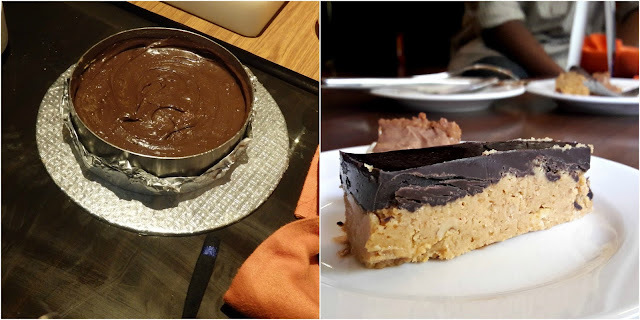 The second recipe was for a Nutella Cheesecake. It needs neither egg nor a setting agent which makes it a perfect cheesecake for vegetarians. The biscuit crumbs used to line the base are made in-house which gives them a coarse texture that is excellent for a cheesecake base. As usual, the class ended with a scrumptious lunch at Paprika. As you walk into the restaurant, the first thing your eyes fall on is the dessert display. There's always something new at the buffet counters and Paprika makes one of the most delicious thin-crust pizzas in the city. 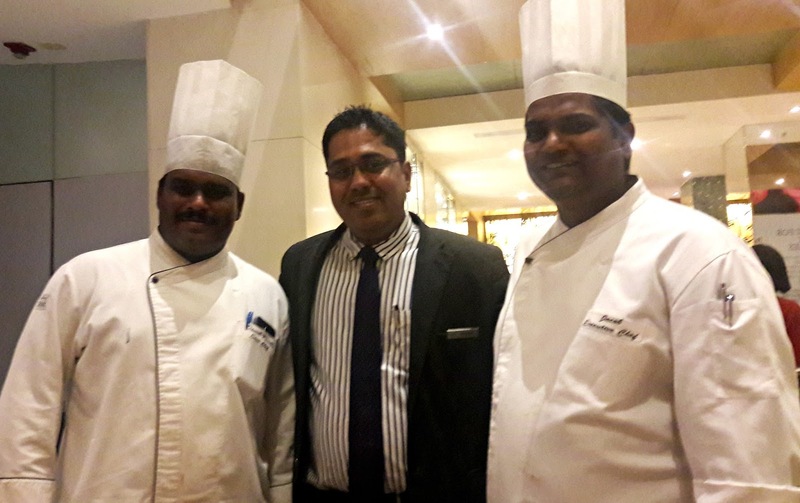 Courtyard Marriott Chennai will be hosting "Cook and Dine' classes one Saturday every month. To know more about these sessions or to participate, do call +91 44 66764000/ 66764488. 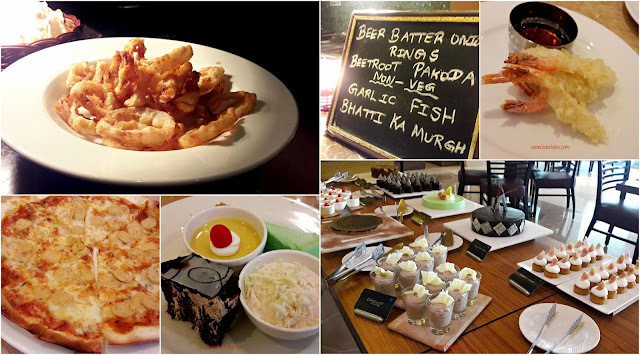 The cost of the class is 800/- per head and includes buffet lunch at Paprika.